Technology continues to advance at a seemingly exponential pace, leaving disrupted business sectors in its wake. New operational efficiencies and profits are gained for some, while others stare in wonder at what just happened. 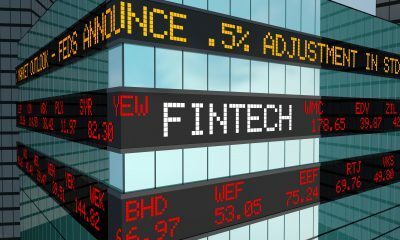 The financial services world is one such area; with new fintech innovations causing disruption throughout the industry. Let’s train our eye at a few of the top financial tech disruptors currently driving a transformational shift in the sector. Make sure you understand these nascent technology innovations to always keep ahead of the massive changes. Your career success depends on it. Overall, the current market for technology professionals in the financial world remains solid. A recent study notes that the financial and insurance industries account for nearly one-quarter of all technology staffing in 2018. The introduction of newer, disruptive fin-tech innovations is actually causing a shortage in experienced IT talent in this sector. In short, experience in these technologies bodes well for your career prospects. What New Technologies are causing the Most Disruption in the Financial World? It helps to understand what innovative technologies are causing the most disruption in finance. This lets you focus on these areas in your own research and training efforts. In some cases, the talent shortage means financial companies want any level of exposure to these new skills from their candidates. Mobile payment services are one area seeing rapid change. Consumers increasingly shop using their smartphones – both online and in brick and mortar stores. Experience with this technology, especially digital wallet systems like, PayPal, Apple Pay, Google Pay, and Amazon Pay is currently in demand. AI and machine learning are two related technologies making waves in the financial sector. Robo-trading applications, powered by machine learning algorithms, are seeing wider use on Wall Street and stock exchanges across the world. Beyond the stock market, AI is also making inroads in credit scoring, insurance underwriting, and other functions throughout finance. Financial institutions in the Boston area want candidates with any experience in artificial intelligence or machine learning. Experience in these areas, combined with the other still emerging technologies, like mobile and the Cloud, makes for a very attractive candidate in today’s economy. The time for updating your skill set is now! When you need further advice on taking your tech career to a higher level, talk with the knowledgeable recruiters at The CERES Group. As one of the top technical staffing agencies in the Northeast, we know the companies looking for talented IT professionals. Explore these open jobs and apply today!